Leading Republican lawmakers say "zero question" that Saudi Crown Prince ordered brutal murder of journalist Jamal Khashoggi. Leading Republican lawmakers said on Tuesday that there was "zero question" that Saudi Crown Prince Mohammed bin Salman ordered the brutal murder of journalist Jamal Khashoggi. The lawmakers, who were quoted by ABC News, spoke following a briefing by CIA director Gina Haspel Tuesday on the murder of the Washington Post columnist, who was a known critic of the Saudi Crown Prince. 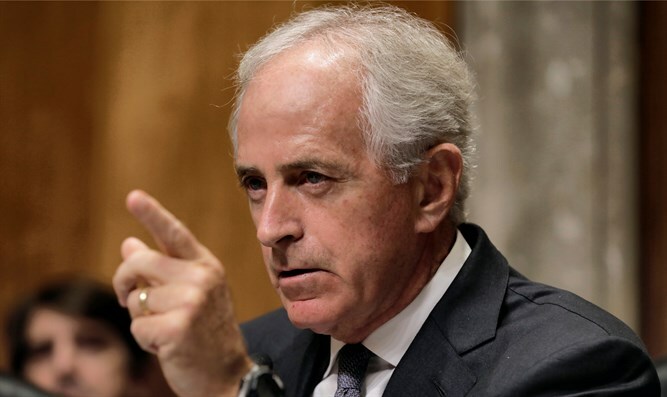 Senate Foreign Relations Chairman Sen. Bob Corker (R-TN) said, "I have zero question in my mind that the Crown Prince MBS ordered the killing, monitored the killing, knew exactly what was happening. Planned it in advance. If he was in front of a jury he would be convicted in 30 minutes. Guilty," Corker said. "You have to be willfully blind not to come to the conclusion that this was orchestrated and organized by people under the command of MBS and that he was intricately involved in the demise of Mr. Khashoggi," he added, according to ABC News. "If the Saudi government is going to be in the hands of this man, I find it very difficult to be able to do business because I think he's crazy, I think he's dangerous, and he has put the relationship at risk," said Graham, who concluded that he can no longer support arms sales to the kingdom.